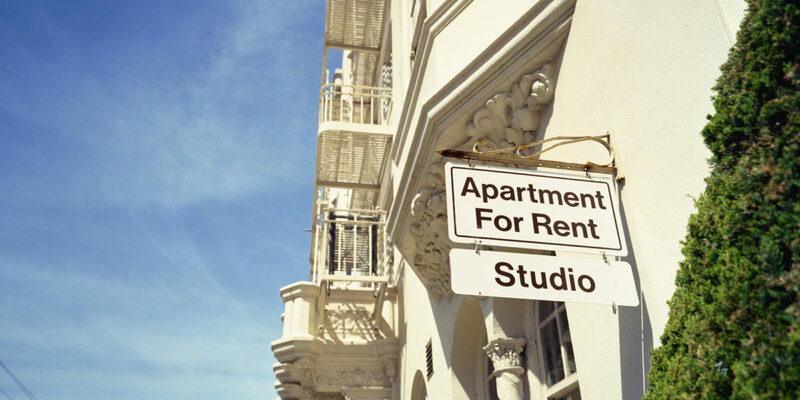 Apartment for Rent & When Is It Better to Rent Instead of Buy? It was 5:00 PM and time for Susan to call it quits for the day. While signing off the computer, a last-minute check of the traffic reports revealed that the roads were backed up again. Susan drove home against the commute feeling her daily rush of sympathy for all those on the other side of the road stopped in traffic. Ten minutes later, she drove past a golf course and pulled into home. The flowers were especially lovely this month and the fountain sparkled as it reflected the brilliant colors of the foliage. She drove past the landscaped grounds, pool and through the security gates that swung open with her security access. What would it be tonight, a cardio work-out? No, sheíd invited Steve over for some tennis. After a pleasant game, theyíd head back to her place, fix dinner in her gourmet kitchen and eat on the balcony at tree level while the evening breeze rustled the nearby leaves. To wind down, theyíd take a dip in one of the pools and relax in the Jacuzzi in the evening air. Maybe tomorrow night they could hit a few balls at the nearby course or check out one of the nearby art galleries. She placed her mail on the granite countertop and padded across the ceramic tile to the sink at the breakfast bar to take her daily vitamins. A quick check with her concierge service confirmed the tickets for the weekend show, and she filed the maintenance report for the fix to her marble bathroom sink ñ the repairs had been quietly made while she was away. She took a deep breath, turned on the surround sound and walked over to the private balcony off the main bedroom. How does Susan afford this life? She doesnít have a trust fund, and her income is about the same as colleagues that commute long distances to go home to maintenance, chores, yard work and television. Susan goes home to a beautiful home with a gourmet kitchen, elegant baths, vaulted ceilings, sun rooms, surround sound, sound reduction features, plush carpeting, ceramic tile, and custom oak cabinets. She goes home to tennis, golf, swimming, fountains and lovely grounds because she lives in conveniently located, luxury apartments. She enjoys an easy commute, concierge services, laundry services, professional landscaping, exercise facilities, recreational services, community parties, easy care, and maintenance services ñ all for less than her friends are paying in mortgage costs. When does it make sense to live in apartments? According to Evelyn Barfield of GreystoneProperties.net there are many situations when renting is a much better financial choice than purchasing a home. Home ownership often means commuting long distances, constant maintenance and upkeep, mortgage payments, and yard maintenance. The term ëbedroom communityí is a term for people who own homes long distances from their daily lives. The owners donít actually live in their home, they simply return to it late at night to sleep. The home remains empty most of the time. Renting luxury apartments offers an alternative to long commutes, constant maintenance and a fixed residence. It is a great choice for those who want flexibility, mobility, easy care and a freer life. Luxury apartments offer all the amenities that one would wish in a home with none of the maintenance or hassle. The vaulted ceilings, clubhouses, movie theatres, pools, tennis courts, Jacuzzi, cardio fitness equipment, fountains, gardens and landscaping are maintenance free and always available for use. Luxury apartments can often be found in great locations with easy access to work, golf or downtown. The cost of purchasing in such areas is often prohibitive, but luxury apartment living enables one to enjoy the location, amenities and lifestyle at a fraction of the cost. For those in fluid situations, renting is usually a much better financial choice. Purchasing a home becomes financially wise only if housing prices in that particular neighborhood rise, if the homebuyer stays in the home long enough to justify the up-front costs, and if the maintenance or repairs to a home are kept to a minimum. Purchasing a home almost never makes financial sense for those who stay in a location less than 2 years. Unexpected expenses, taxes, repair costs or upgrades crop up often and can wreak havoc with a budget. Luxury apartments offer a fixed cost per month, which includes professional management, upkeep and maintenance. Renting a luxury apartment can enable people to enjoy a freer, more relaxed, fun-filled life.